The love affair between the transphobic president and the trans reality star has cooled, but the latter still can't quit the Republican party. Caitlyn Jenner, in an interview with Vice's Broadly, admitted to her disappointment with Trump’s presidency in relation to LGBT issues, but maintained her support for the Republican Party. Jenner voiced her intention to continue to support the Republican party, despite frequent and consistent anti-LGBTQ legislation from the GOP, such as bills that prevent transgender people from using their bathroom of choice and “religious freedom laws” that allow employers to discriminate against employees based on their sexual orientation or gender identity. The 2016 Republican party platform took aim at LGBT rights on several fronts. Jenner relayed her past and continued efforts to reform the Republican Party by working from the inside, and hopefully contribute to the GOP forming more progressive views on gender variance. “I think it’s good that I’m on the Republican side because the Republicans know that, and I have an immediate in with them to change their minds,” Jenner told Vice. Jenner relayed her history of personally meeting with prominent GOP figures such as current U.S. Ambassador to the United Nations Nikki Haley. Jenner also claimed she attended Trump’s inauguration with the intention of speaking personally with GOP figures, specifically relaying a conversation with Mike Pence. In her account of speaking with the current vice president, she said that she emphasized her identity as both a trans woman and a Christian, claiming Pence expressed interest in speaking more about how she lived as both. However, Jenner admitted that she hasn't yet had that follow-up conversation with the vice president, due to scheduling conflicts on both parties’ ends. The Broadly interview took place shortly after Jenner received backlash for receiving an award on behalf of an organization which provides healthcare to transgender people in Los Angeles, St. John’s Well Child & Family Center. Ultimately, a petition on change.org with approximately 2,000 signatures encouraged her to decline the award. 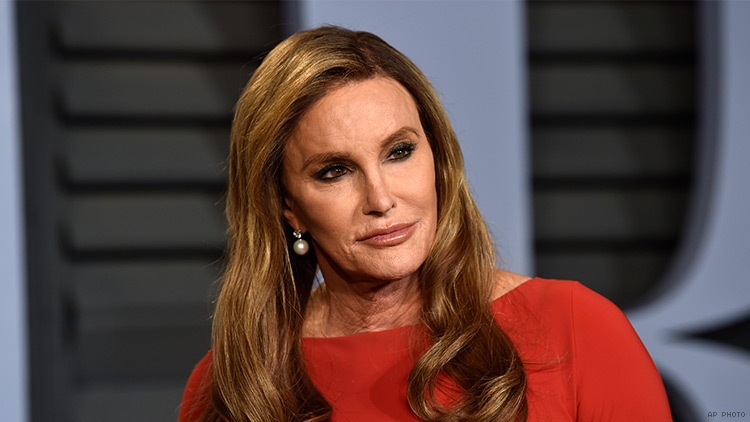 Jenner has been a controversial figure within the transgender community since her transition in 2015, partly because of her support for a political party whose ideals fundamentally oppose the possibility of mainstream equality and acceptance for transgender people. She is also often criticized for her wealth and privilege, with critics claiming she has no interest in understanding how most trans people live (a 2015 study found trans Americans are four times more likely to live in poverty than cisgender Americans). But Jenner didn't concede any guilt about her socioeconmic status. “I’ve worked hard for that,” Jenner said. “It’s what America is all about. What they don’t realize is that I didn’t have the anonymity to be able to do this privately. I couldn’t."